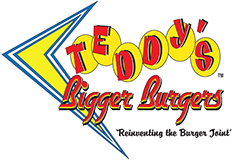 Summer’s coming to an end, and at Teddy’s, we can’t wait for you to taste the Cajun Effect! An original burger dusted with Cajun Seasoning and topped with Pepperjack Cheese and Avocado… what burger way to finish off your summer! Along with the burger of the month, try the shake of the month, Banana! You can mix and match your favorite flavors: Chocolate, peanut butter and strawberry, or if you’re feeling crazy, make up your own! Come in for a meal, and feel the effect of summer!